At Adco Office Furniture Melbourne, we’re proud to stock a great range of office furniture for Melbourne homes and businesses. Our specialists work closely with clients to understand their specific operational requirements and provide tailored solutions. From helping to upgrade your home office through to assisting with large corporate office fitouts in Melbourne, there’s nothing we can’t do. We have no shortage of office furniture online for you to choose from, with products sourced from leading and reputable brands from across the world. We’re a family owned and operated business with nearly 30 years of experience. Our specialists are very experienced in helping clients save money by selecting the best furniture to suit their needs. We can supply a huge range of office chairs, from student and task chairs through to fully ergonomic chairs suitable for 24/7 use. Our range of executive office chairs is also extensive and we can cater for any office environs. We have an impressive range of reception furniture, storage solutions, partitions and office workstations in Melbourne. Along with a huge range of furniture options, we offer an experienced and personalised service as well as efficiency, integrity and expertise at no extra cost. 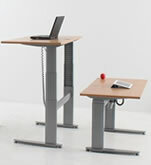 Adco Office Furniture is the number one destination for office furniture in Melbourne. For more information and further assistance, contact us today by calling (03) 9808 4404. Alternatively, you can fill out our convenient online enquiry form. Our conveniently located showroom displays a comprehensive range of Office & Business furniture that includes office chairs, desks, office fitouts and much more. We are only a short drive from: Glen Waverley, Hawthorn, Camberwell, Burwood, Canterbury, Kew, Mulgrave, Bayswater, Nunawading, Richmond, Ringwood, Forrest Hill, Clayton, Box Hill & Blackburn.